Gracious Royal Palms set in an &quot;Eden&quot; like tropical garden welcomes you to an impressive entrance. Moon Reach is both distinctive and desirable. 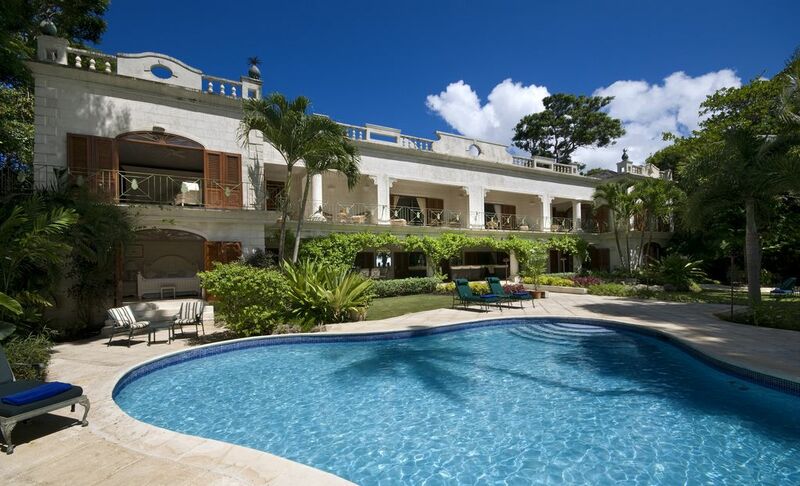 Its beachfront location is maximized by five spectacular bedroom suites. Each one is air-conditioned, with cable T.V., a separate dressing room and an unusually large ensuite bathroom, with twin washbasins, oversized tubs and spacious walk-in power showers. To add to your comfort each room has a large private balcony, with the four bedrooms on the upper level offering views of the Caribbean Sea and the property's secluded tropical gardens with its kidney shaped pool. All this ensures that comfort and privacy are readily available to every member of the party. For the more health conscious Moon Reach also offers a well-equipped gym and games room located on the grounds. Amid this coralstone villa with its mellow cool marble floors, a blend of harmonious colours and sumptuous furnishings, guests will revel in a truly relaxing tropical experience. Whether enjoying cocktails at the bar, dining alfresco, or formally in the candlelit dining room, your view of sparkling turquoise water and sandy beach will never be interrupted.